I recently had the opportunity to create this beautiful 4 row pave band. Pavè (pronounced pa-vey) rings are generally defined as rings with stones so close together that you can’t see much metal between them. 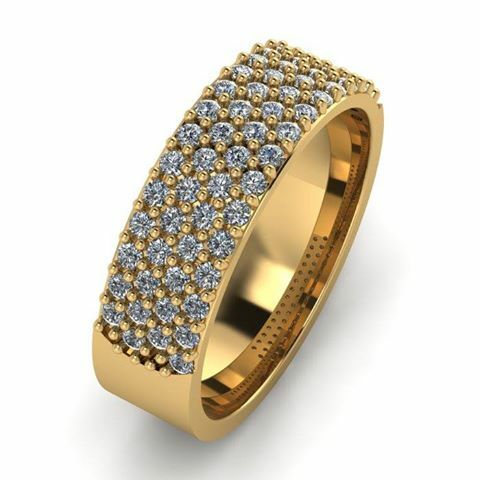 In this post I will lay out the benefits of pave rings and why choosing custom made is the best choice. #1—Pave bands keep a low profile. 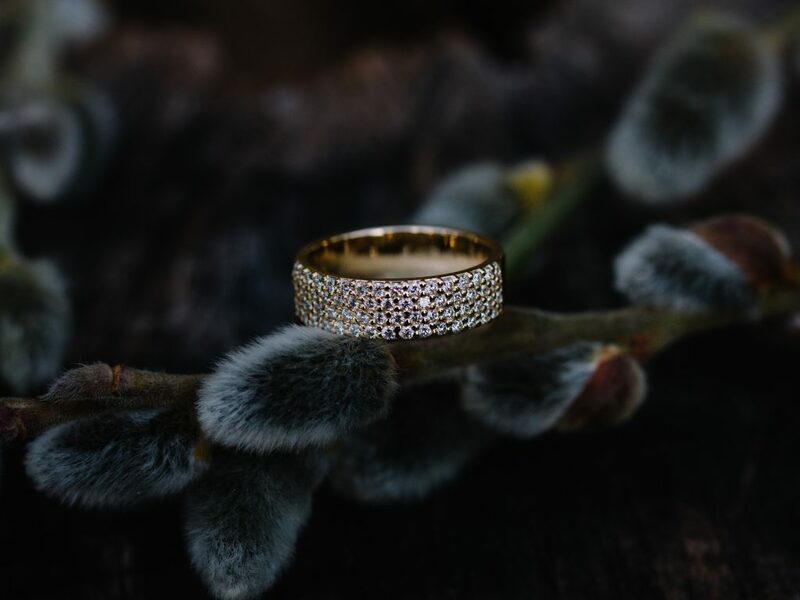 One of the greatest advantages of wearing a pave band is that the stones can be set virtually flush with the band itself. This makes it optimal for people looking for a ring that wont catch or scratch anything. #2— No need for a center stone. The diamonds in a pave band work together to create a lot of brilliance. It is also less expensive than buying a single large stone. A pave band can be worn both as a wedding band (accompanied with an engagement ring) or it can be worn all by itself. It’s very nice to have the option to wear a pave band in lieu of an solitaire or halo style engagement ring. Questions? Ask a goldsmith! We strive to answer all messages within 24 hours. #1—Less potential for stones falling out. Pave rings generally have a lot of stones. In this particular ring there were over 60 diamonds—66 to be exact. Having more stones increases the risk of one of them potentially coming loose and falling out. Some pave rings are made with setting beads that are so small you can barely see them! While this creates a very cool look, they are more prone to having issues in the future, unless they are done right. Solution: Pave doesn’t always have to be micro, I made this custom pave ring have slightly more gold in the beads! 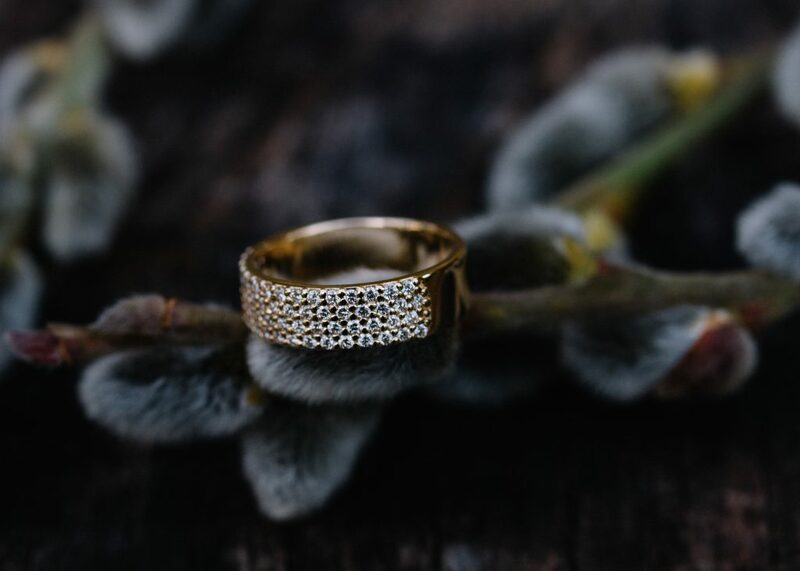 The extra gold provides more coverage over the stones, meaning you’ll get a lot more life out of the ring before maintenance is needed. note: regardless of your ring style, it is always good to get your ring inspected every 6 months to ensure everything is looking good! Prevention is always less expensive than repairs later! CAD rendering of the 4 row pave band. The stones only go half way down the sides. #2—Pave rings can be harder to size, thus making custom a better option. Some pave rings are very hard to size due to the way they are designed. Often the stones can come far down the sides of the ring, making it difficult to size without many stones falling out. Solution: Custom pave rings can be cast in the correct size! For example, instead of buying a size 7 pave ring and getting is sized down to a 5…you can get the ring custom made in a 5 to begin with. This way, the diamonds have a much better chance of staying tight in their settings. The end result is a ring that is more secure. 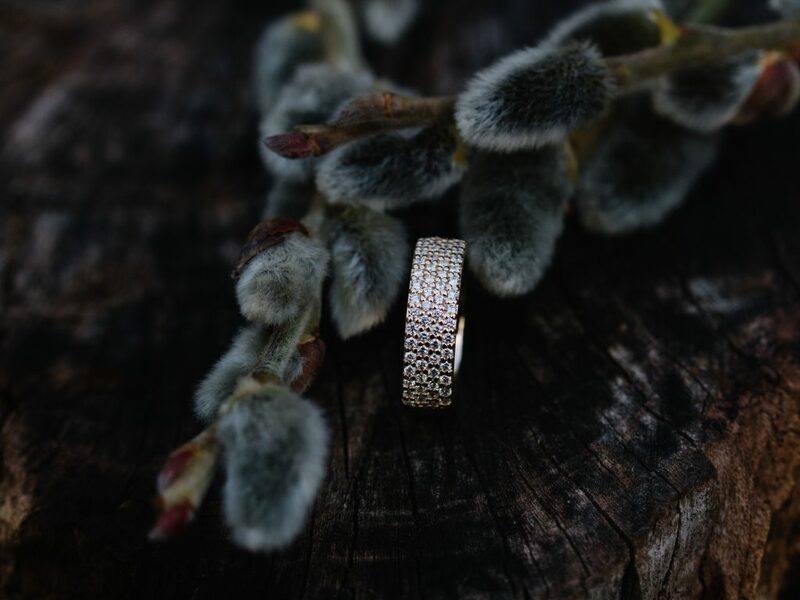 In addition, This custom pave band was designed to have the diamonds only go half way down the sides. This way the ring can easily be sized without interfering with the rows of diamonds! note: It is always better to have a pave band custom made in the correct finger size. For all custom inquires, fill out our customization form!